Liria is a girl lost in a world she had no choice of being in. She finds herself going down a path that her mother went down and she doesn't know if she wants to continue on it or start a new path. 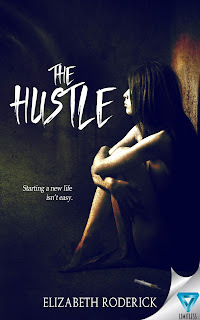 She meets a young man, Justin, that makes a surprisingly big impact on her life. She has always felt odd and different. She wants to make choices that will better her life but can she cover up the fact that she loves women? Who is really for her and who just want to use her? Will Liria ever find where she fits in and find someone to love that will love her back? I can't wait for the next book! Having read the first book I was ready to read a unique and different book but the author really knows how to give you a whole new story. Things were hinted at in the first book so it does go together, but this book can be a standalone for sure. This author truly knows how to paint a picture in your mind. The Other Place is definitely a new world where nothing is as it seems. Justin is a unique man who is caught between both worlds and is trying to find happiness in the midst of it all. If you want a book that makes you think outside of the bubble and let's your imagination run, this book is a definite read. 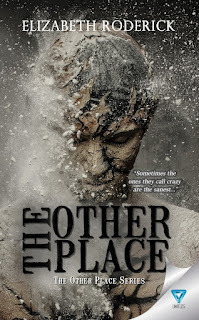 The Other Place is like nothing I have ever read and I truly enjoyed reading something that challenged my thinking and brought about a sense of urgency to finish the book.